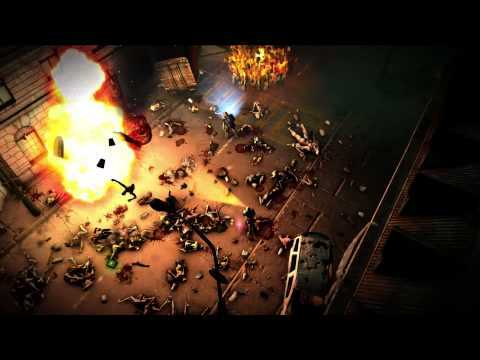 Fight through the streets of a zombie infested city in the twin-stick shooter from the people that brought you RESOGUN. There was a virus. The city was overrun. Everybody died. But the dead have risen and they want human flesh. Your only chance is to find other survivors like you - people who are immune to the virus. But first you're going to have to get past an array of grotesque and terrifying zombies. Not only that, but press the Share button and broadcast via Twitch, and you could have other PS4 players sending help into your game... or another wave of undead. It's time to fight for your life. Scavenge for resources, buy and upgrade weapons and blast your way through hordes of the undead... make them wish they'd never died.